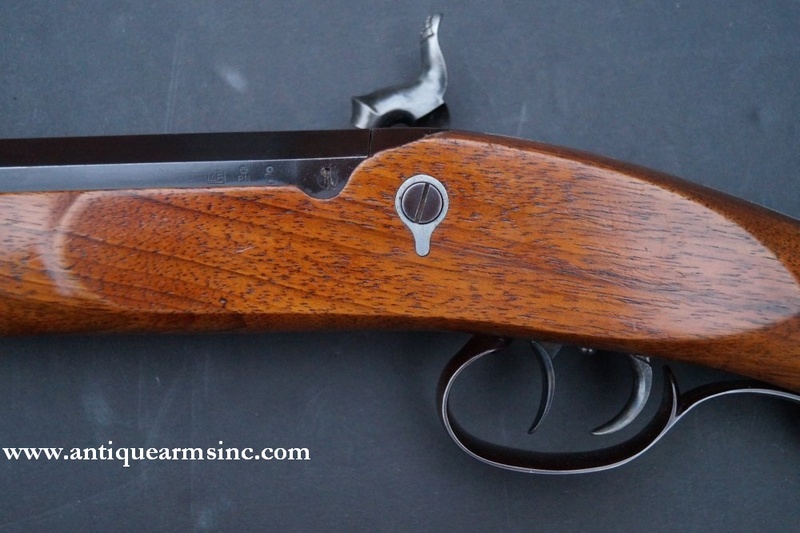 This is one of approximately 3,000 high quality Hawken reproductions produced by Uberti for Western Arms Corp in the late 1970's. 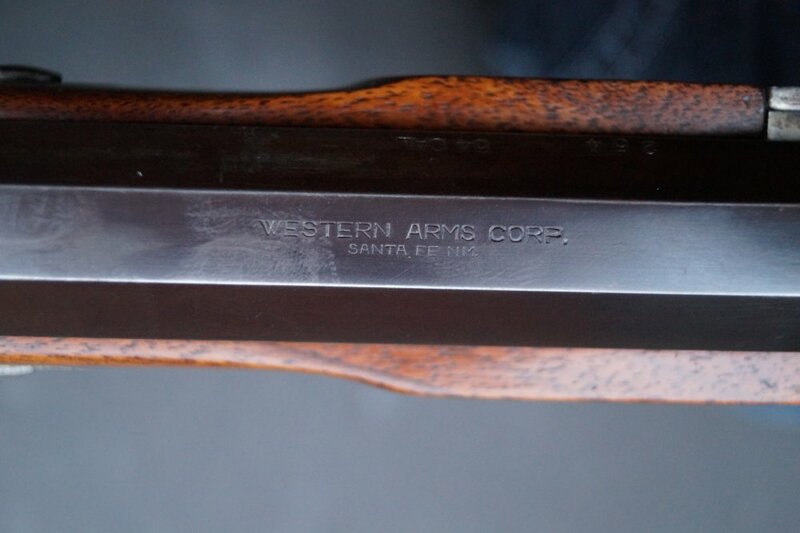 This one is serial number 254 and would have been made around 1978. 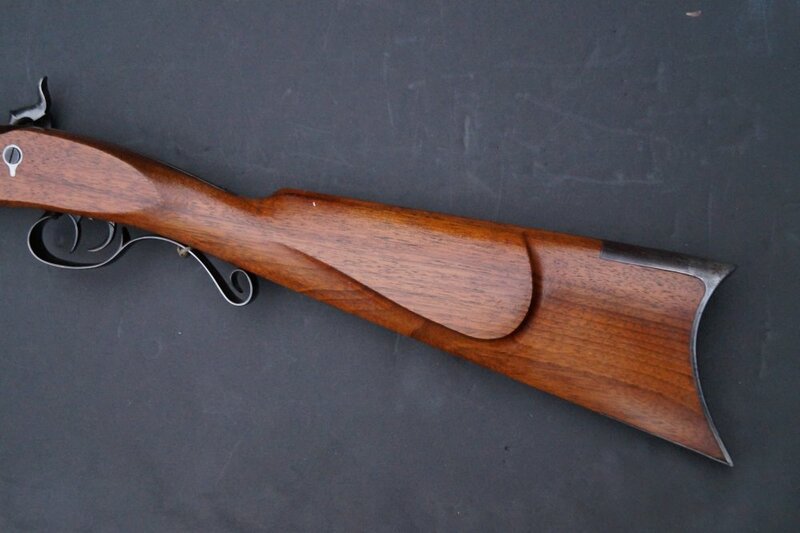 The fit and finish of this rifle is impressive for a reproduction with lots of attention placed towards detail and craftsmanship. 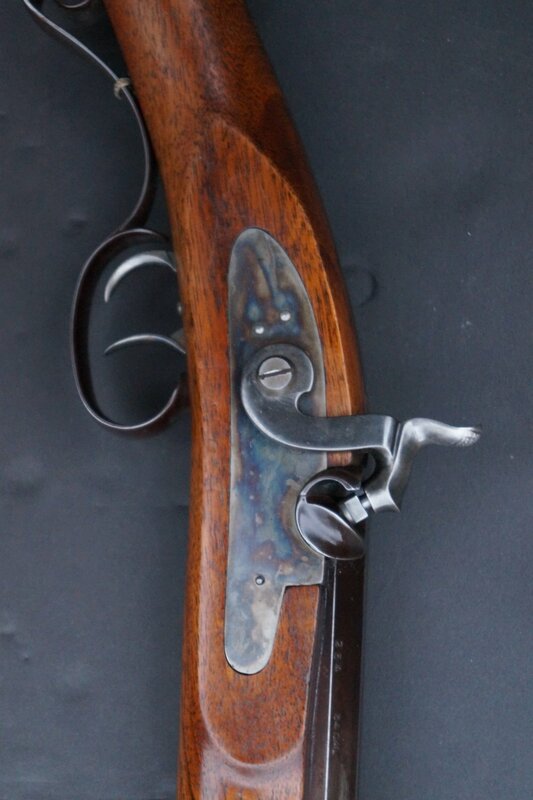 There are some pretty good articles online covering the development and history of these Western Arms Hawkens. 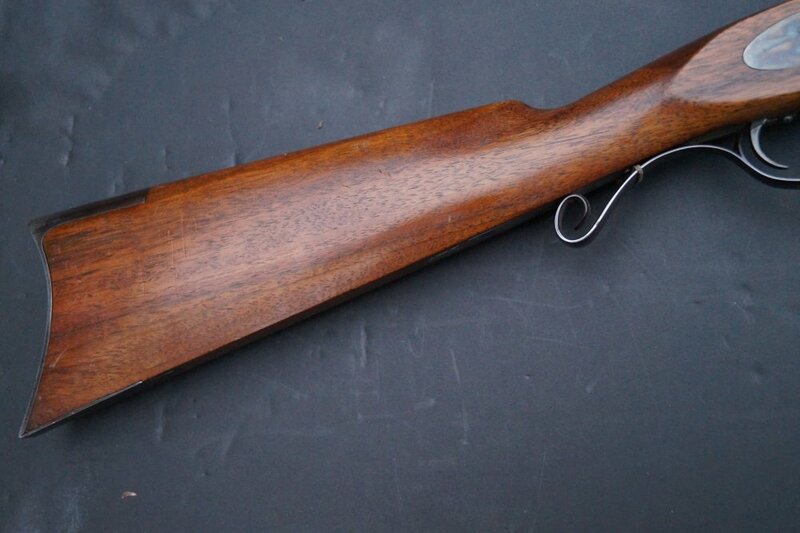 This one is in .54 caliber with a .32 1/2" octagonal barrel with fixed front and rear sights. 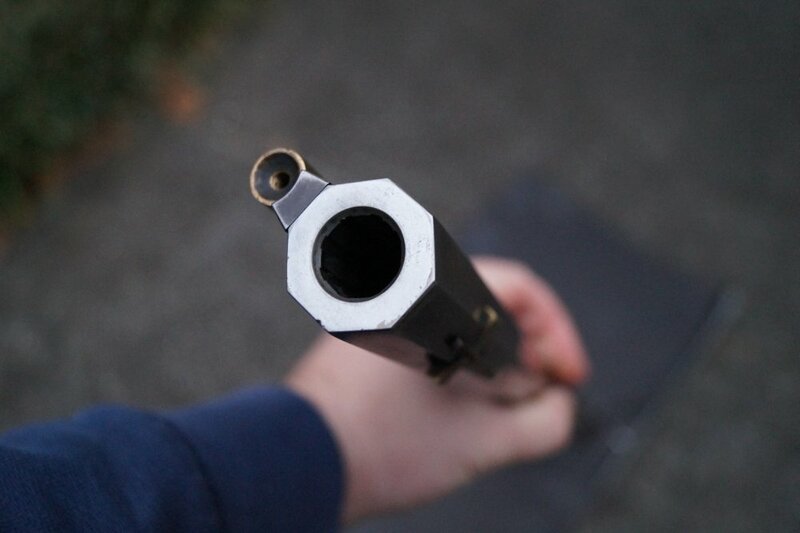 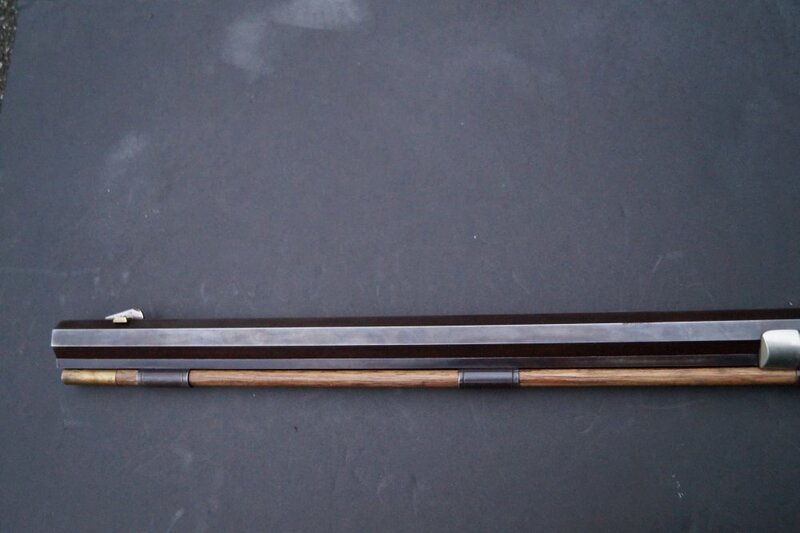 Barrel is secured by double keys with a hook breech for easy removal. 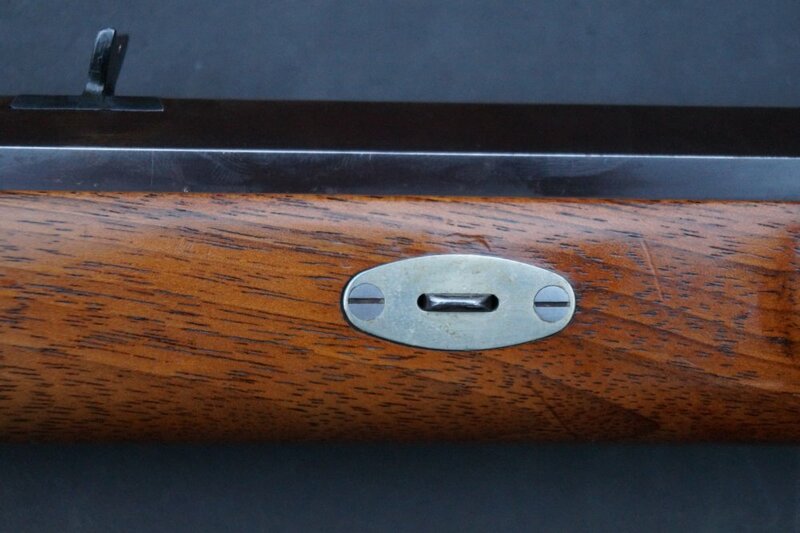 Key escutcheons and forend cap are made of German silver. 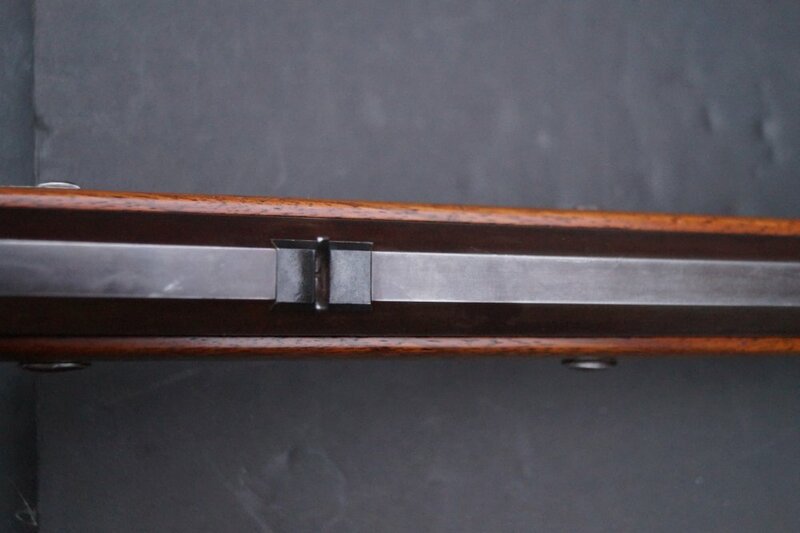 The lock has most of its original case colors while the barrel and furniture have faded and worn over the past forty years to 75-80% original browned finish. 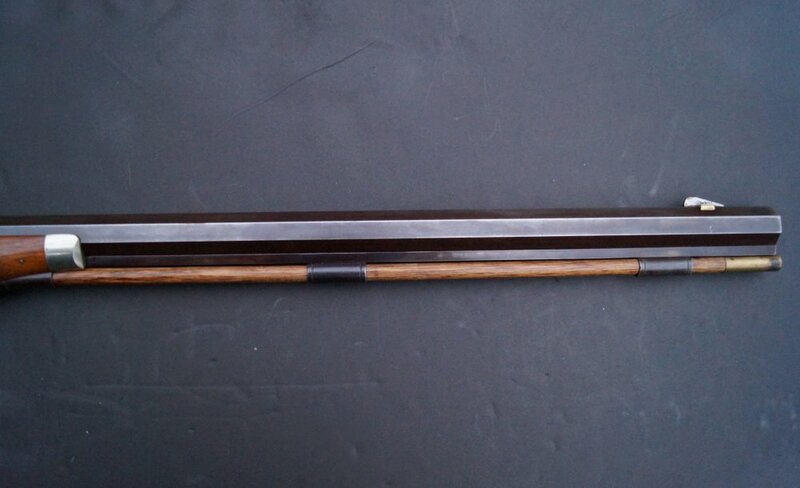 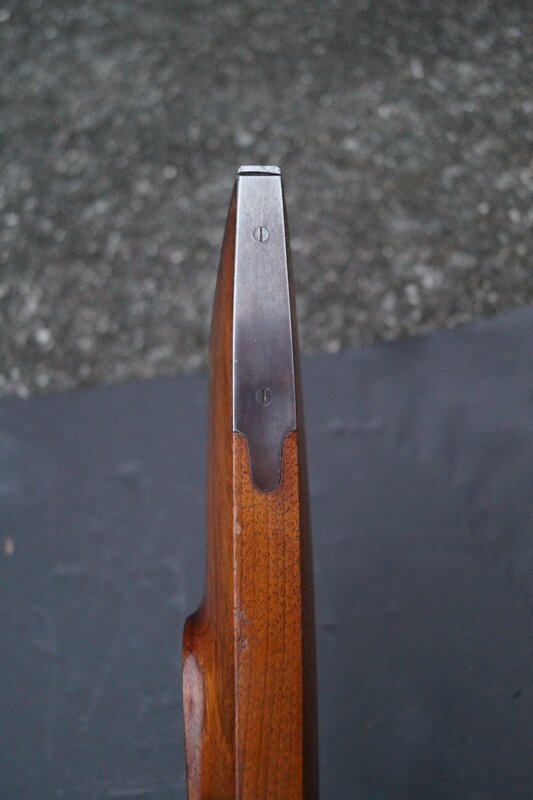 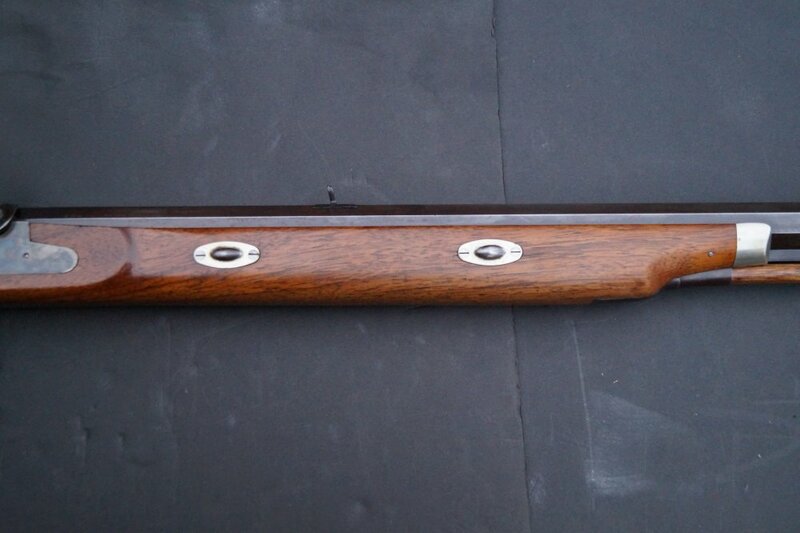 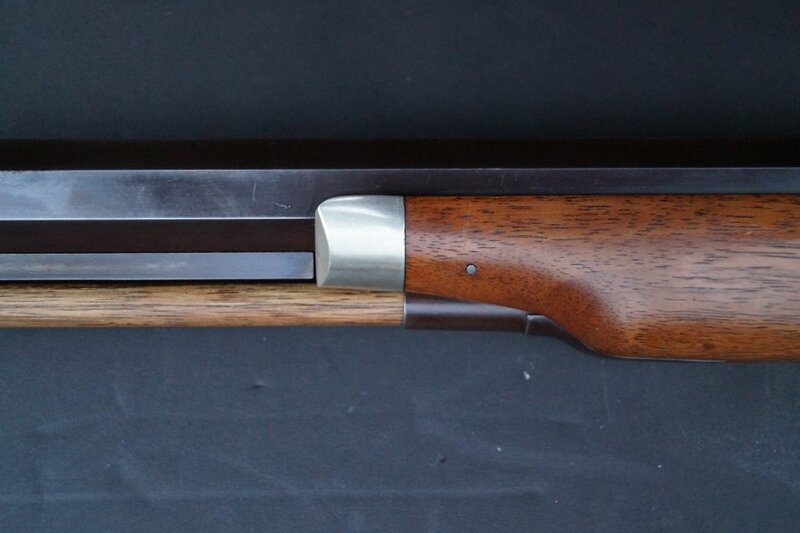 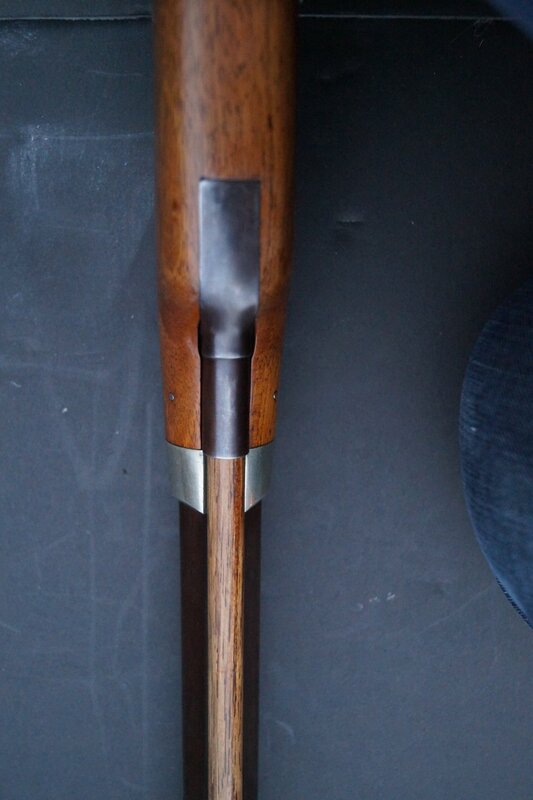 The walnut stock is in Fine condition with a few marks and nicks but still shows most of its original light orange red oiled finish. 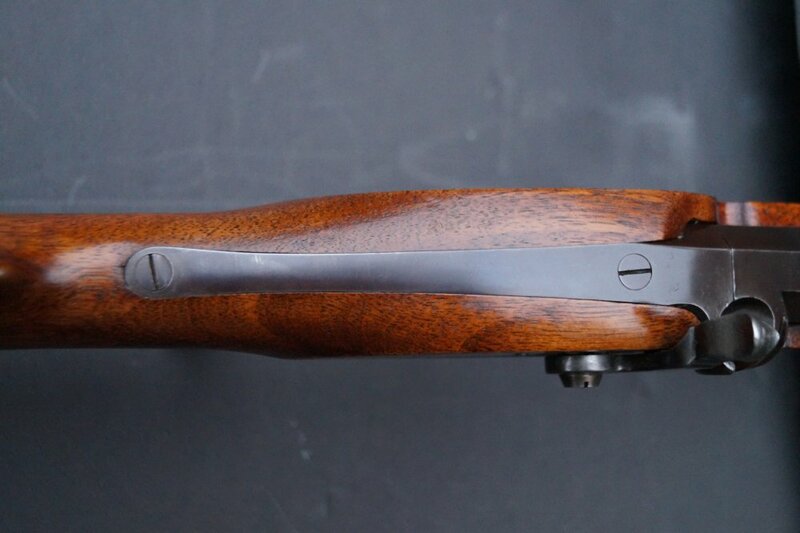 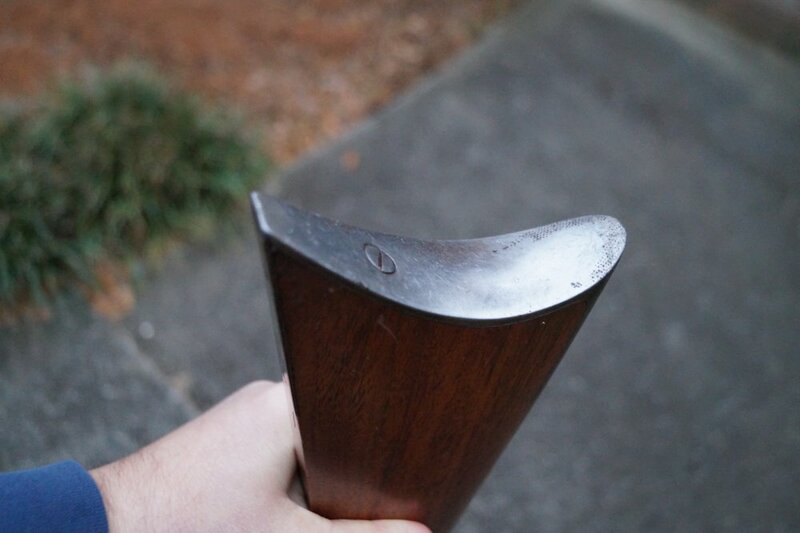 It has a nice broken in look to it which would take years to get to this look with a new rifle. 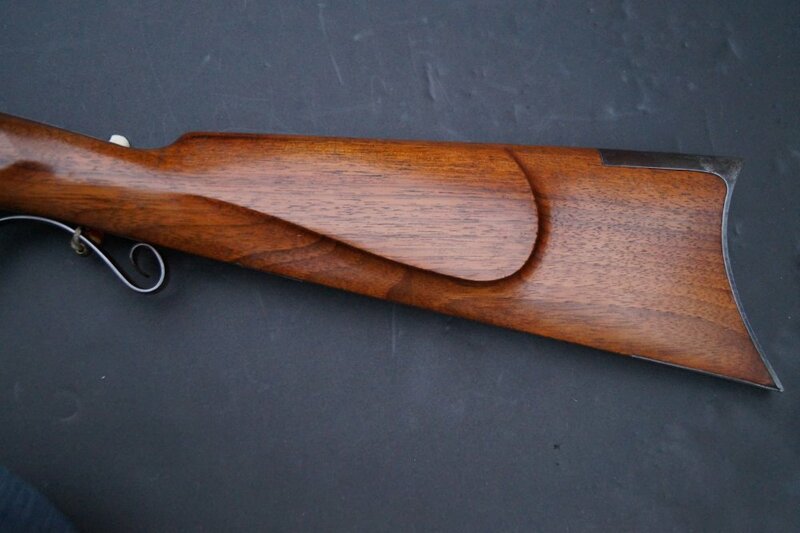 Double set triggers work as well. 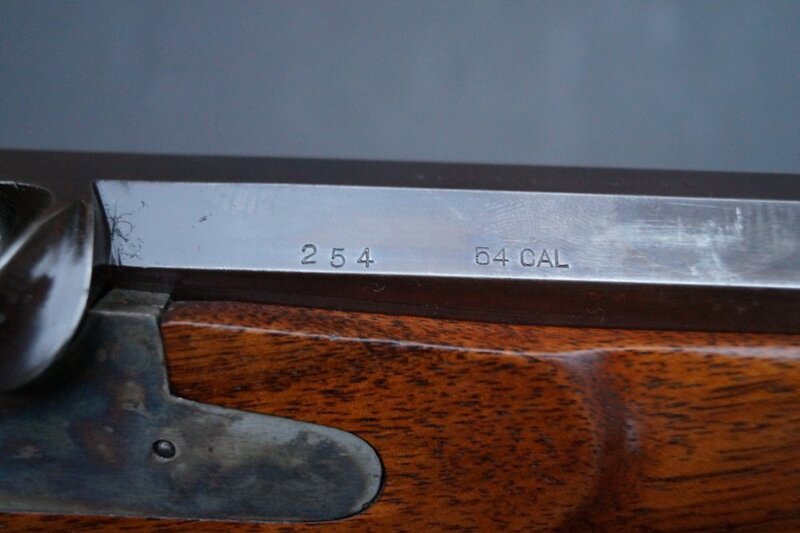 Check out what the higher quality Hawken Rifle Reproduction Rifles sell for today and then revisit this one. 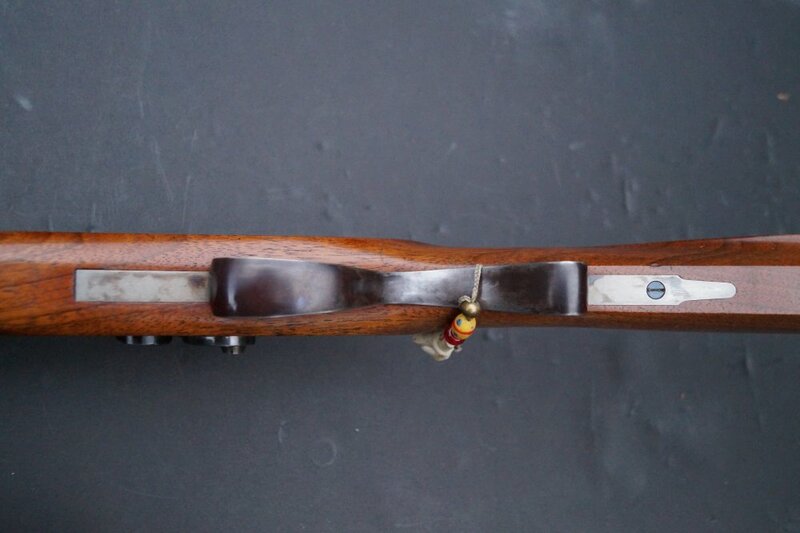 Nice example of iconic frontier rifle!